VEN. LAMA KUNGA RINPOCHE WILL KINDLY BESTOW THE EMPOWERMENT OF WHITE UMBRELLA (Sanskrit: Sitar Tapatra, Tibetan: Dug kar). 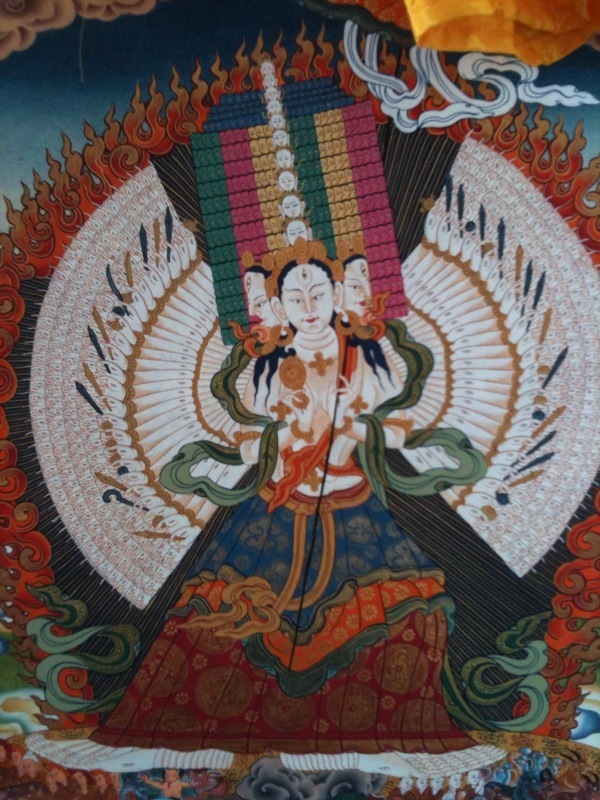 She is known as an emanation of both Avaloktishvara and of Tara and her 1000 heads and 1000 pairs of arms reflect the combined powers of all the Tathagata Buddhas. Her Empowerment and practice give protection from negative emotions, harms, afflictions, diseases, and obstacles. There is no prerequisite. Everyone is welcome. The starting time is 1:00 pm. Please arrive earlier to register at the door. The requested donation is $30. Dana (offering) to the Lama and attending monastics is separate.